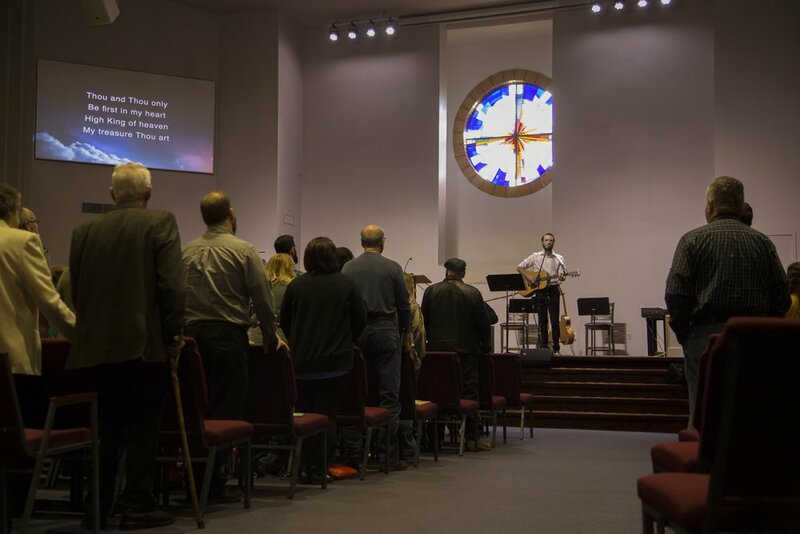 Our style of music at IBC is a blended style meaning we embrace hymns as well as a contemporary style. When we think of worship, we don't limit that to music but we understand that it is a commanded form of worship according to Colossians 3:16 & Ephesians 5:19. Our music is Christ-centered and biblically-taught. The goal of our music ministry is to point people to Christ and encourage and edify the believers of God with the equipping of the Holy Spirit. For more information about out worship ministry please contact Justin Meredith.